This entry was posted in That's Better and tagged 2012, budgie, chirp, Cooper, election, parakeet, president, She can do it by Michelle M.. Bookmark the permalink. Cooper totally has my vote. 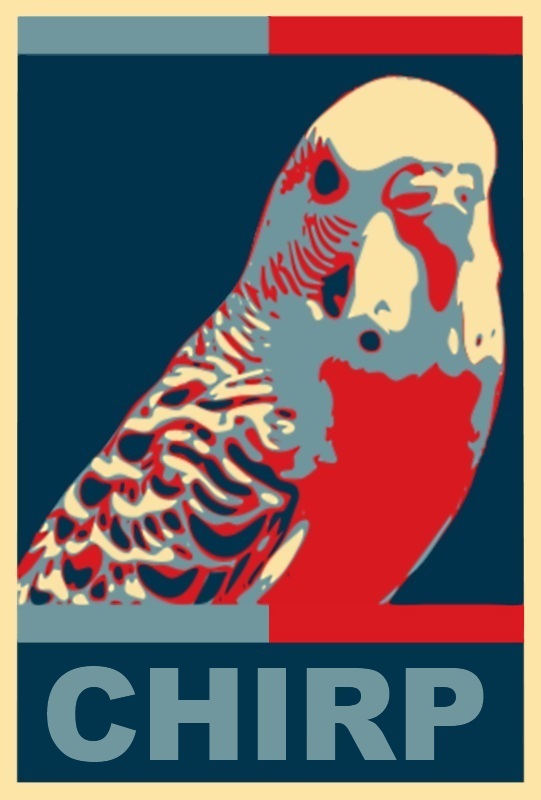 As far as I can tell, her entire platform is a massive increase in millet subsidies and the creation of an extremely well funded National Endowment for the Budgie-related Arts.